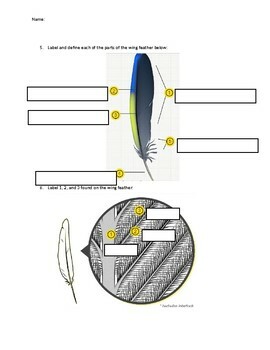 The Cornell Lab Bird Academy has an interactive feature where students can explore the different types of feathers that birds have, as well as look at how feathers have evolved over time. 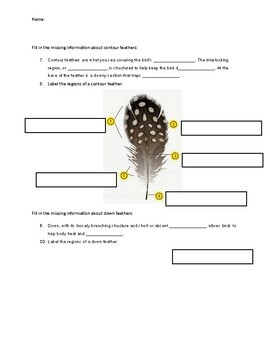 This worksheet is designed for students to record information they study from this interactive to better understand feather. 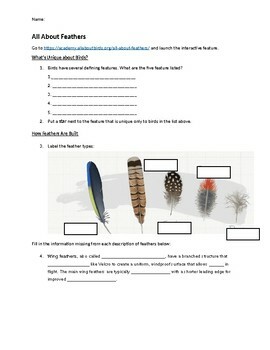 The link for the website is on the sheet, so it is easy to find for students. This document can be edited to fit your needs.